If you are looking for cabins, Helen, Ga is almost 2 hours northeast of Atlanta, out in the country where you will experience fresh mountain air, and the freedom of spacious land away from the hustle and bustle of the city. Instead of staying a night in a hotel, why not enjoy a couple of nights, or even an entire week in a luxurious cabin? If you need peace of mind along with the spaciousness of a cabin nestled deep within the Appalachian Mountains where you can enjoy the view every morning and go hiking in the afternoons? You will experience breathtaking views with waterfalls, surrounded by the scenic mountain area, and you can even pick your own berries. Georgia is known for the finest tasting berries possible. The Blue Ridge Mountains, where Cedar Creek Cabin Rentals is situated, is very relaxing, but there is so much to do if you start getting restless during the first day or two. Sure you might want to hang out around the cabin at first. But then you will feel that childlike spirit start rising up within you and you will want to start roaming around to experience the glory of the outdoors. Whether you are going to rent a cabin for your family vacation, honeymoon, or even a romantic getaway, you will be delighted with your choice to stay in a very private place that is safe and full of exciting activities. You may want to cool off after a day of enjoying the sunshine that will reflect off of the lakes where you go fishing. Maybe you'll decide to raft down the wild waters of the Chattooga River. 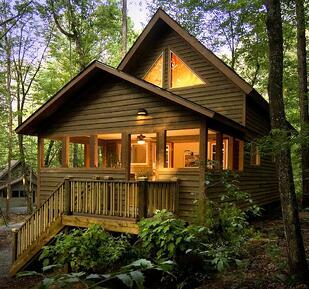 Cedar Creek Cabin Rentals chose the area of Helen, Ga because it's all about location. The History of the area is enchanting since the area is well known for the Cherokee Indians. Gold miners eventually took over the area and you can even go gold panning. And don't forget about those Amicalola Waterfalls. They are the tallest waterfalls east of the Mississippi River. You will have to walk and hike to see the waterfalls, but there are a variety of levels from beginners to advanced so that anyone who wants to see them can. It will take about an hour from the cabins in Helen Ga to get to the Amicalola Falls State Park, so make sure you are prepared for the drive ahead of time. There is a trail for those who are handicapped that takes you to the bottom of the falls. The great part about the handicap trail is that there is a reflection pool at the bottom where you can enjoy the views. There are so many more things to do within the park besides experiencing the waterfalls. There's plenty of nature including a deer park. 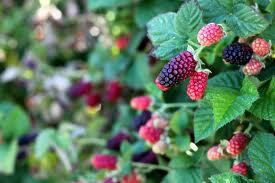 You'll be able to take pictures of varieties of plants and flowers that are native to the area. 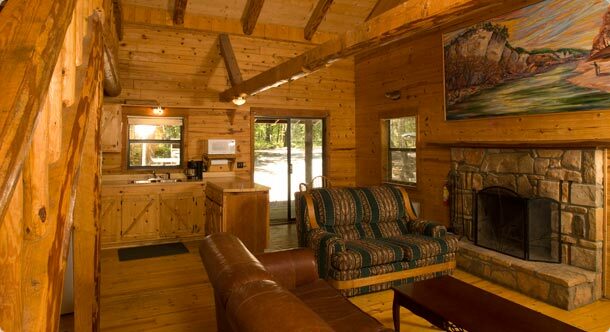 Cedar Creek Cabin Rentals has various amenities to choose from as well since we cater to all personalities. Whether you are a little on the wild side and bring a motorcycle to drive around on, have faithful loving pets to bring along with you on your trip, or if you want to relax in a hot tub or jacuzzi, Cedar Creek Cabins has it all. You can even get a cabin with a pool table or game tables to enjoy with family or friends in the evening or even through a small intimate party. You can choose a cabin that is closer to the town of Helen, or further away from it. You can even get a cabin right in town. Depending on who you are bringing along, what your plans are, and how you want to experience the beautiful scenic mountainous town, Cedar Creek has the perfect cabin that Helen has to offer. They have so many options that you will have a hard time choosing which cabin is just right for you. You will love it so much that you decide to stay longer. You may even decide to come back again for your next vacation. Many of our previous guests have done exactly that. Come and see for yourself!